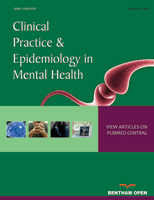 The study aimed to see if a community survey conducted by clinical interviewers with semi-structured psychiatric interviews shows lifetime prevalence rates of Specific Phobia (SP) similar to those found by surveys carried out by lay interviewers and if the high level of impairment found in SP may be confirmed. This is a community survey on an Italian nationwide sample randomly selected from registers of municipalities. Tools: semi-structured ANTAS psychiatric interview derived from the SCID-DSM-IV, carried out by clinicians (psychologists or physicians); Short Form Health Survey (SF-12) as a measure of Quality of Life (QoL). Analyses: means of the χ2 test odds ratios were adopted to test several associations regarding SP prevalence. One-way ANOVA was used to compare different groups on attributable burden due to SP and/or other disorders in worsening QoL. The lifetime prevalence of SP was 2.3%. No difference was found by age class. Females showed more than twice the frequency of males (p<0.0001). The disorders showing the closest association with SP were: social phobia (OR=17.53); general anxiety disorder (OR=11.57); anorexia (OR=11.13) and agoraphobia (OR=10.03), but also obsessive compulsive disorders (OR=8.8), eating disorders (OR=7.2), panic disorder (OR=5.9), post-traumatic stress disorder (OR=5.8), and major depressive disorder (OR=4.8) presented an association that achieved statistical significance. The QoL of people with SP and at least one disorder of anxiety, mood or eating in comorbidity, measured as a score at SF12, was worse than controls without SP (p <0.001) but that of people with SP without co-morbidity was not (p = 0.809). An epidemiological study conducted by clinical interviewers through semi-structured interviews appears to re-dimension the impact of SP, at least from the public health perspective. Future prospective studies will better clarify the role of SP in the context of anxiety disorders.